Little Leo is invisible. He's a ghost but he doesn't really realise he's a ghost in the human sense of the word. When a new family moves into his house and Leo brings them mint tea and honey toast, as lovely kids do, he soon learns humans don't like ghosts. 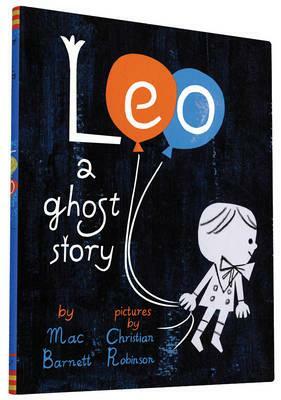 Out in the big world, Leo is ignored, until ... one little girl befriends him, with gorgeous consequences. This is a classic friendship storyline given that achingly contemporary Mac Barnett twist, from the author voice to charm, humour and quirk. There is a warm level of sentiment that will resonate with kids, a jigger of subtle messaging and lots of heart. There's also fearlessness, and two characters readers will fall in love wit. Christian Robinson's superb retro-style illustrations perfectly carry the text, adding more than enough visual delight in this beautifully-produced book.